'Madhubala told me that of all the addictions, the biggest addiction is make-up; once you put it on, you can never leave the limelight even if you want to,' Tabassum tells Patcy N.
That, Tabassum discovered, was true. And when the limelight fades, and people forget a popular actor, the sense of loss is not easy to handle. 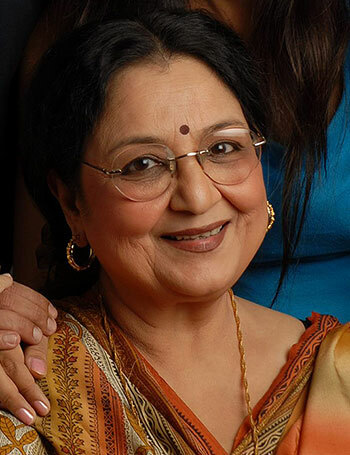 "People have forgotten that there is an actor like me, who has been associated with this industry for over 67 years," says Tabassum, who used to a hugely popular child star. As the actress says, she's professionally senior even to the late B R Chopra! As an adult, her weekly chat show, Phool Khile Hain Gulshan Gulshan, was a much awaited event in an era when the only form of televised entertainment was the Doordarshan channel. Her show was aired for 21 years, which is testament to how popular it was. Almost all the bigwigs of the Hindi film industry -- including actors, producers, directors, music composers and singers -- have shared an on-air tete-a-tete with her. In a long chat with Patcy N, the 70-year-old actress looks back on her career, and talks about the stars she met along the way. I was born in 1944. My father, Ayodhanath Sachdev, was a Punjabi Hindu who fought for our freedom alongside Bhagat Singh. My mother, Asghari Begum, was a freedom fighter, journalist and an author. My parents went through a lot of struggle when they got married. I am neither Hindu nor Muslim. I am a human being. Whenever I am asked my religion on a form, I write ‘humanity’. My father named me Tabassum, keeping my mother’s religious sentiments in mind. My mother kept my name Kiran Bala, keeping my father’s religious sentiments in mind. My name on all official documents was Kiran Bala Sachdev. After marriage, it became Kiran Bala Govil. Tabassum is my screen name; it means muskhurahat (smile). Indian cinema completed 100 years in 2013. I have served this industry for 67 years out of the 100 years. That’s a record. I started my film career when I was just three years old, in 1946. My parents were journalists; they worked for the Tej newspaper in Delhi. Later, they were transferred to Mumbai. My mother started a magazine called Tanveer Monthly with the help of Abdul Hamid Ansari, the father of Khalid Ansari (chairman of the Mumbai-based Mid-Day Group of publications). Urdu poets and lyricists like Majrooh Sultanpuri, Jigar Muradabadi, Josh Malihabadi, Kaifi Azmi and Sahir Ludhianvi wrote for the magazine. 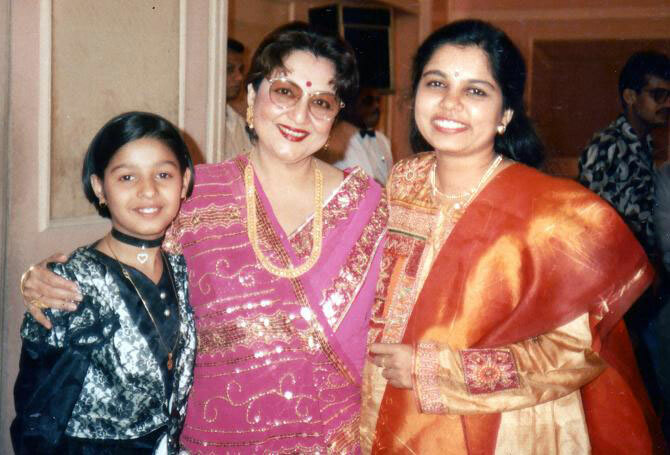 My mother taught Urdu to Arun Ahuja (Govinda’s father) and Kamala Kotnis, a famous actress, and I would accompany her. Prabhat Studio in Pune was closing down and people were shifting to Mumbai. Baburao Pai started Famous Pictures and V Shantaram started the studio, Rajkamal Kala Mandir. Famous Pictures was making a film called Nargis, starring Nargis. The film's music composer, Rajendra Krishen, and O P Dutta (filmmaker J P Dutta’s father) were my father’s friends. They told my father that I should get into acting as I was very smart and there was a role for a child artiste in Nargis. My parents first said no because, those days, it was considered bad to work in films. The World War II was on, paper had become very expensive and my mother’s magazine was about to shut because of shortage of paper. That’s when someone suggested I be allowed to take up the Nargis offer. I signed my first film contract for Rs 5,000; that was really a big amount then in 1946. The film released in 1947. In 1947, filmmaker Sohrab Modi came to our house. He was making a film called Majhdhaar with Surendra Nath and Khursheed. He wanted me in it as a child artiste. My mother said they didn’t want me to act in films any more. Rajendra Krishen and O P Dutta told my mother that it wasn’t good to say no to a film straightaway, as people may take that as an insult. ‘You ask for more money and they themselves will go away,’ they suggested. So my parents decided to ask for Rs 10,000. Modi said he would give Rs 12,000 and made a contract. I was four years old then. The film was a flop but I got great reviews. Some reviews mentioned that the older actors should learn Urdu diction from four-year-old Baby Tabassum. By the time I was 10 years old, I earned Rs 7 to 8 lakh per film. But the sad part is that most of the money never came in, and my balance is still outstanding. Nargis, Meena Kumari, Madhubala, Suraiya... I have played the child versions of these actors, and have had other roles, in their films. All four actresses loved me so much. Even Vyjayantimala loved me a lot. She gave me a pet name, ‘papa’. In some places in south India they call children ‘papa’. She would sing Tamil songs for me. Raj Kapoor would get me lots of chocolates. All the actors ate together and they all played with me. On outdoor shoots we would play hopscotch, cricket and Antakshari. I did Meena Kumari’s childhood role in Baiju Bawra. I was very close to Meena appa. Her younger sister, Madhuri, was my friend -- she later married Mehmood. She too was a child artiste. Later, I worked with Meena appa in Pakeezah. I shot for 100 days but my role was edited out. I was offered the role of Madhubala’s younger sister in Mughal-e-Azam. Later, they decided that I was too young for it. I was given another role, but even that got edited out. I don’t have a single scene in the whole movie. Madhubala told me that, of all the addictions, the biggest addiction is make-up; once you put it on, you can never leave the limelight even if you want to. I got to learn so much while working with K Asif. I worked on Mughal-e-Azam for three years. All the assistant directors on the film later became big directors and I worked in their companies. To some extent, it came true in my case. I never became a big heroine. I was a child artiste for 10 years. I was 13 in my last film as a child artiste -- Bimal Roy’s first film in Hindi after he came to Mumbai from Kolkata, called Baap Beti. I played the role of of the beti (daughter). It was based on the novel Simon's Papa by Guy de Maupassant. I took a break after that because I had to complete my studies. I am senior to even B R uncle (B R Chopra). By the time he made his first film, I had completed eight films. 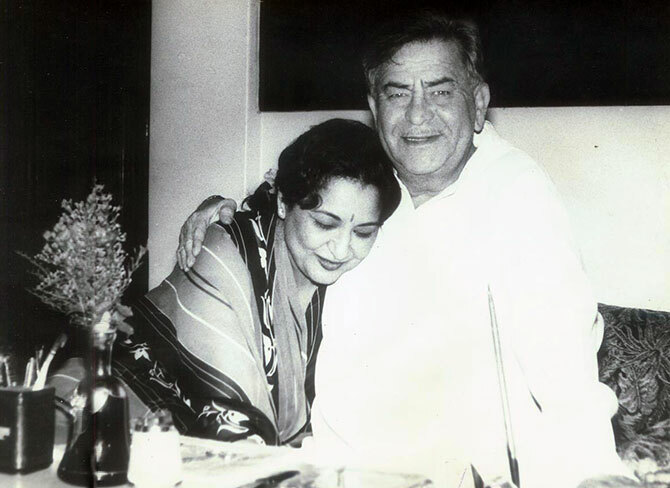 When he directed his first film Afsana, with Ashok Kumar and Veena, he kept his promise and gave me a role. 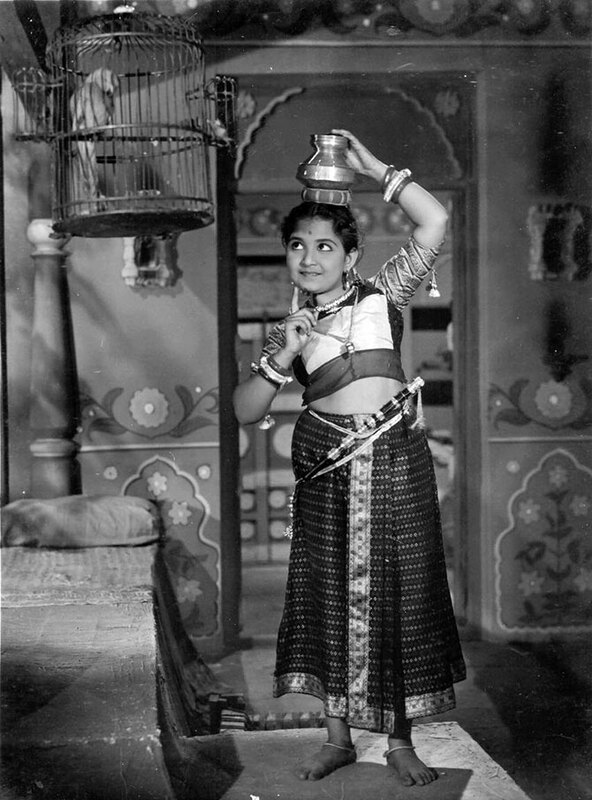 When Vyjayantimala’s first film Bahaar released, I was doing my 18th film! When I made my comeback in 1966, I had trained in everything other than singing. But I was offered only B and C grade films. My first film was Zimbo Finds A Son (also called Zimbo Ka Beta). It was directed by John Cawas. I would get lead roles in small films or supporting roles in big films. I did Yash Chopra’s Dharamputra (1961), where I played Shashi Kapoor’s sister and Mala Sinha’s daughter. I worked with Subhash Ghai in Bharat Ke Shahid. He was the hero and I was the heroine in the film, but it never released. I have worked with Salman Khan’s father, Salim Khan -- I was his heroine in the film Dara Singh. My parents decided that I was not getting interesting roles. I was a very big child artiste but, as a grown-up, I could not achieve any success. So I was married off. I used to feel sad that I never became a big actress. But radio and television have brought me bigger successes. The last film I acted in was Janana Mujhse Door (1995), directed by Vijay Anand. It never released. I directed, produced and wrote my first film, Tum Par Hum Qurban, in 1985. It starred my son Hoshang. Nobody watched my film. Since I had directed, produced and written the script, I went and watched the film too (laughs). But the film made enough money for me to direct my next film, Kartoot (1987). That also has my son Hoshang, but the hero was Kulbhushan Kharbanda. It never released. Johnny Lever is my discovery, did you know that? He was doing my shows on stage, so I decided to give him a break in my film. Even Lollypop, who choreographed Aati kya Khandala in Ghulam, is my discovery. All of them did well in their careers, only my son was left behind. 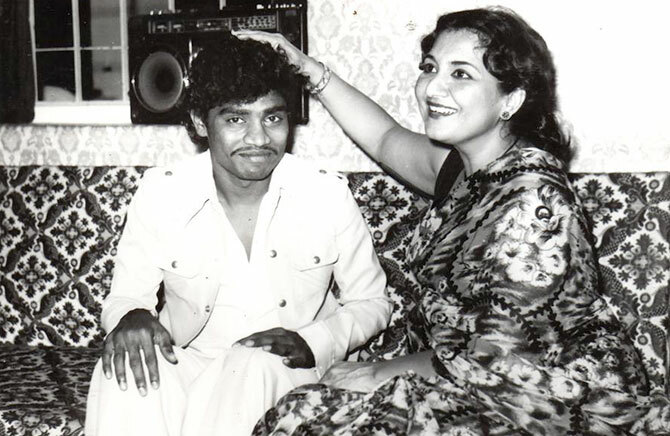 I met Johnny Lever while I was doing a show in Shanmukhananda Hall in Mumbai. My manager saw him performing on the street and brought him in. I haven’t seen a man as talented as Johnny Lever. Sunidhi Chauhan is also my discovery. I was doing a show in Delhi and she asked for me permission to sing on stage. I told her that it can’t be done and she had to meet my manager. But she insisted. When I went to the washroom during a break in the show, she followed me and said, ‘Listen to my song’ and immediately started singing. I was quite amused. But I let her sing on stage. I told her father to get her to Mumbai and work in Bollywood. I even gave him my home address. They came to my house the same day that Babul Supriyo had come. I told Sunidhi’s father that if she sings in my stage show, it will not benefit her career. I told him to go to Kalyanji’s office and say I had sent him. I called Kalyanji and told him I was sending him a birthday present -- it was his birthday that day. The rest is history.